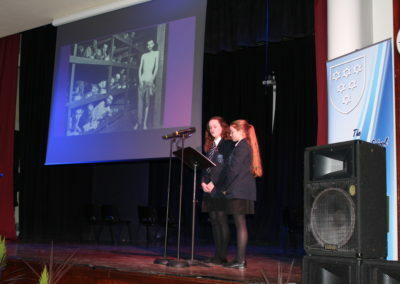 The Market Weighton School recently hosted the East Riding of Yorkshire Holocaust Memorial Event. 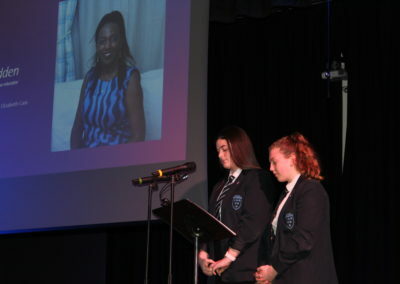 Students under the guidance of Mr Morris, teacher of Society & Ethics, and Mr Fletcher teacher of History, put together a programme of events in remembrance of the Holocaust and more recent genocide in Cambodia, Rwanda and Darfur. 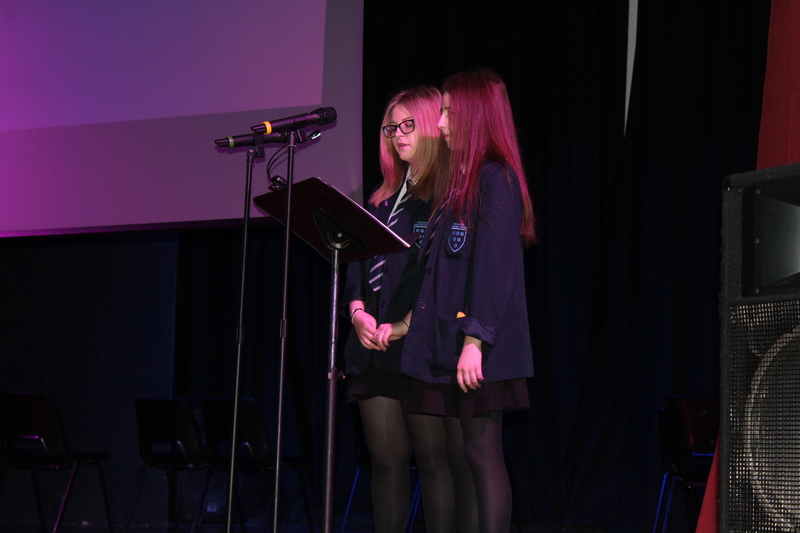 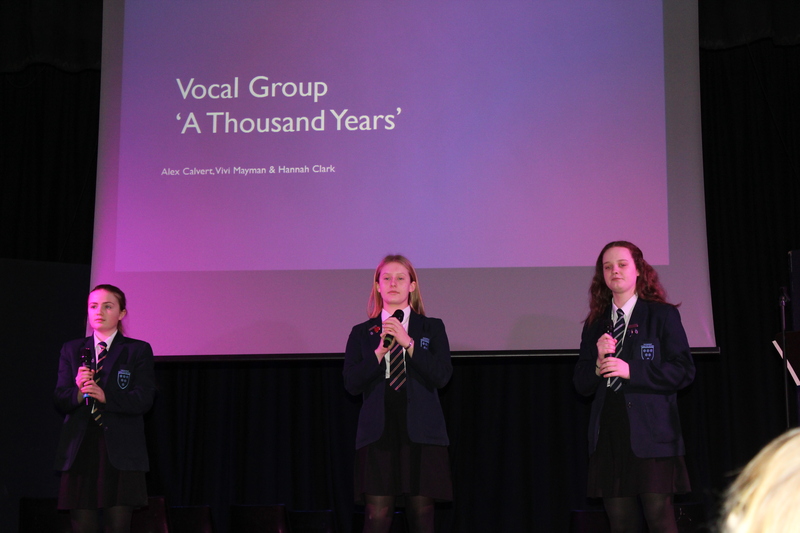 The students performed specially selected music and drams and read poems written by Holocaust survivors and accounts of the atrocities they faced. 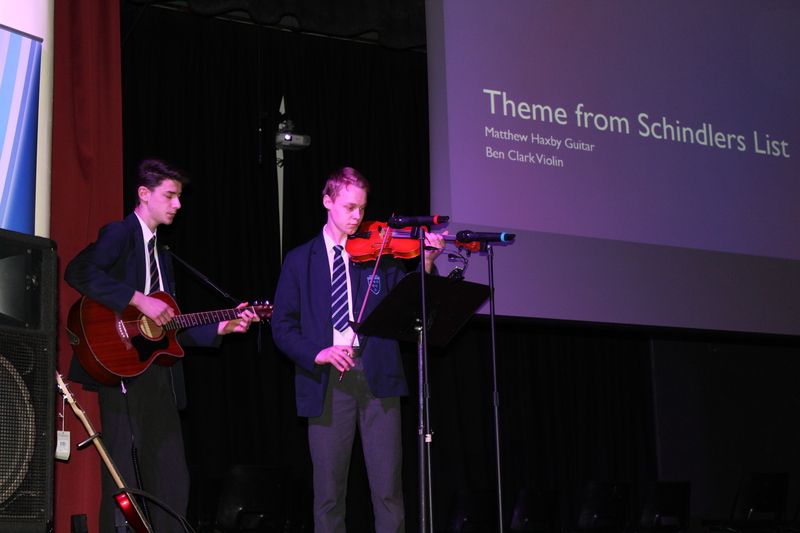 Ben Clark and Matthew Haxby preformed the theme to Schindler’s List, which they had prepared as part of their GCSE music assessment and Mukeni Wa-Ciama performed her own composition, ‘I’m Sorry’. 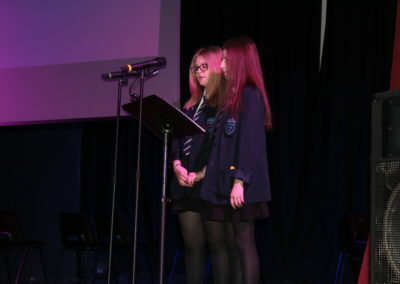 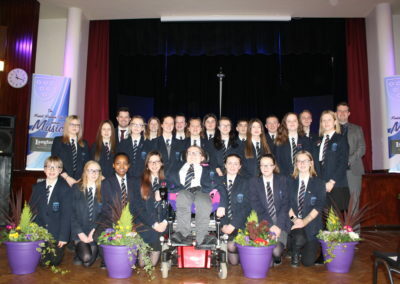 Other performers on the day were Gemma Marshall, Elizabeth Cass, Viviana Mayman, Lydia Melbourne, Hannah Clark, Alex Calvert, Evie Witty, Abigail Redhead, Abigail Johnson and the Year 10 GCSE drama group. 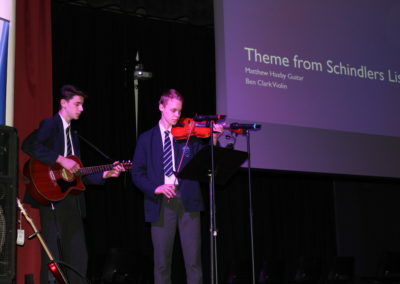 All were ably supported by Joe Green and Ben Kirby providing technical support under the supervision of Mr Poulston. 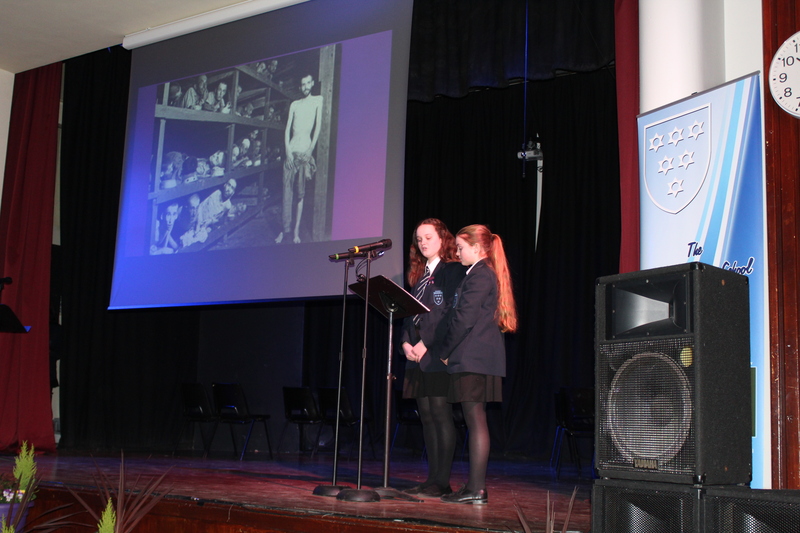 Mr Fletcher spoke about the importance of ensuring young people learn about the Holocaust and understand how discrimination and hatred allowed this to happen in Europe only 75 years ago. 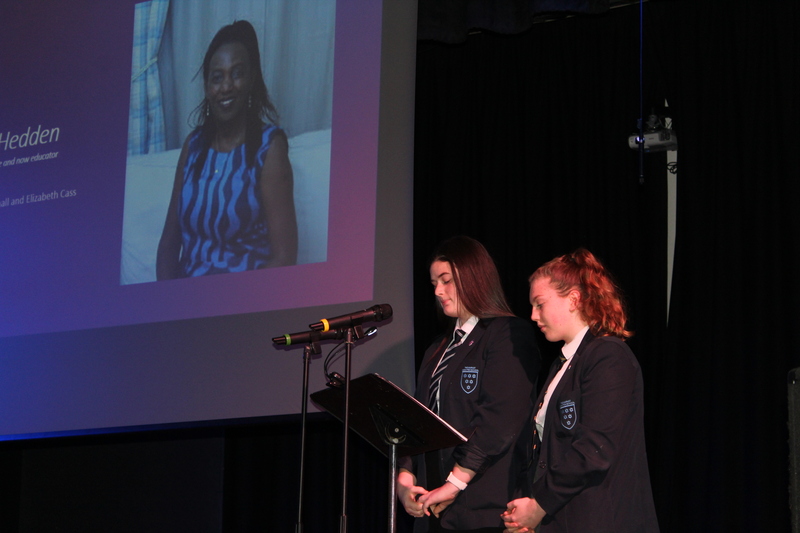 He went on to link this with modern day cases of discrimination and encouraged all the students present to stand up for what is right. 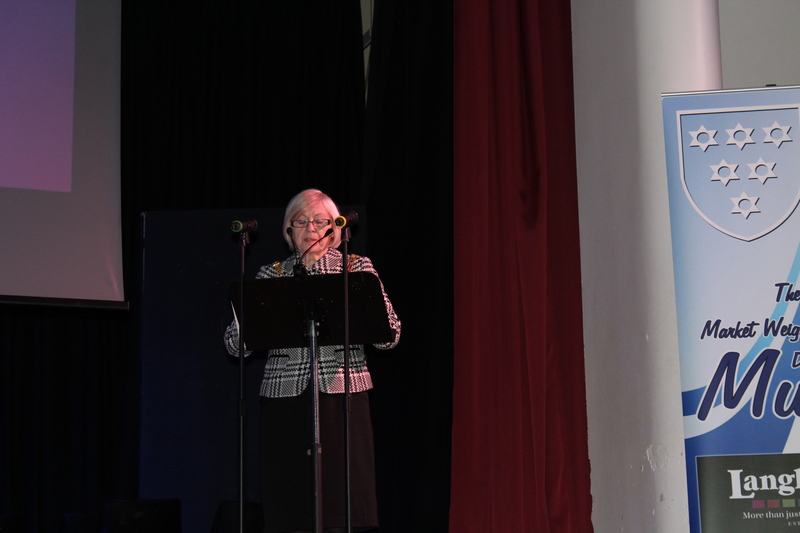 Distinguished guests including the Lord-Lieutenant of the East Riding of Yorkshire, The Hon. 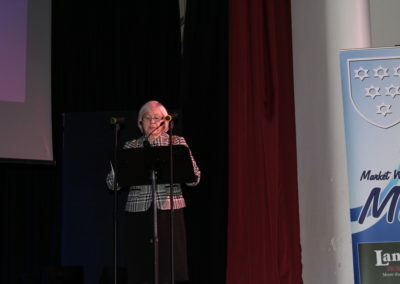 Dame Susan Cunliffe-Lister, DCVO, High Sheriff of the East Riding of Yorkshire, Mrs. Deborah Rosenberg, and the Chairman of East Riding of Yorkshire Council, Councillor Margaret Chadwick. 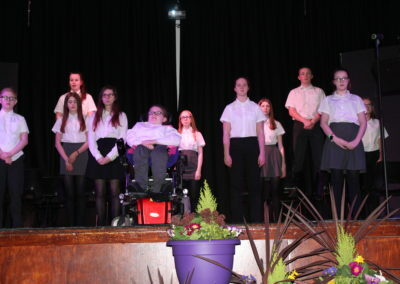 They were joined by the Mayor of Market Weighton and Mayoress, Town Councillor Derek and Mrs. Joan Cary, together with many supporters of the school. 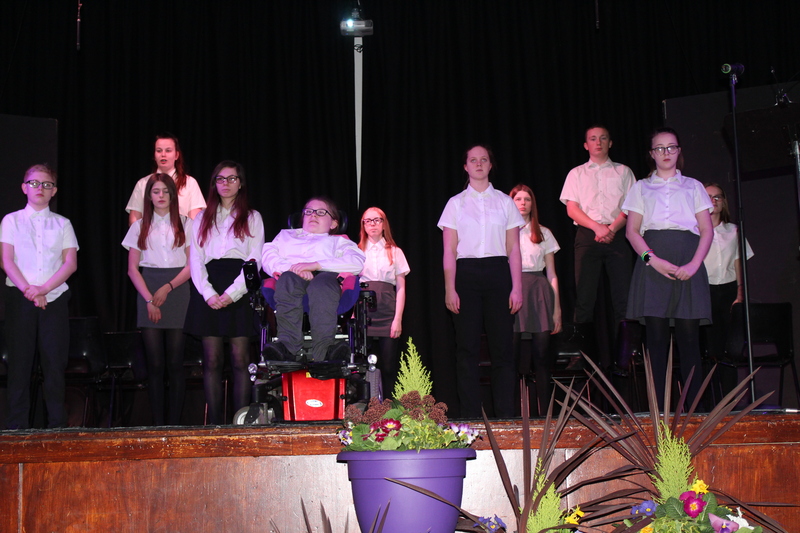 All were highly impressed by the quality of performances given by the students. 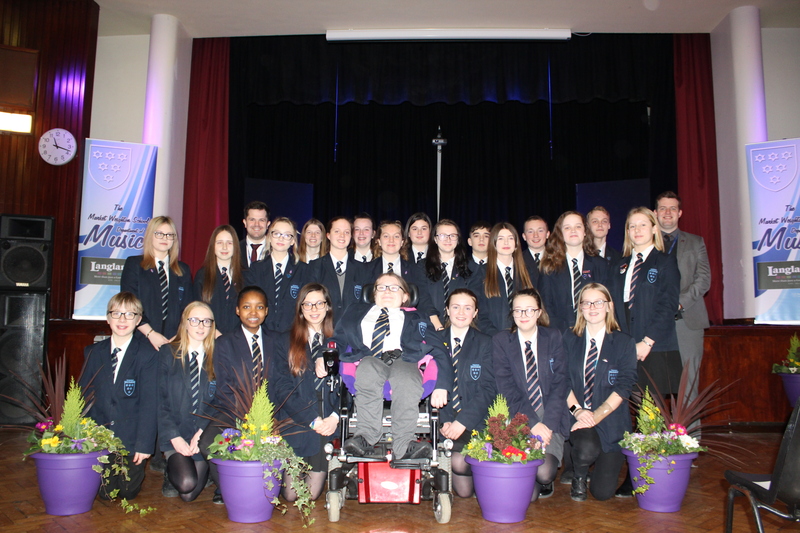 Special thanks to Langlands Garden Centre who kindly provided the floral arrangements.